Yes, I have a wonderful husband who supports me in all my artsy fartsy endeavors. He gave me the PanPastels for Christmas. I was a little intimidated at first. But then I watch The Frugal Crafter on YouTube and gave it a whirl. 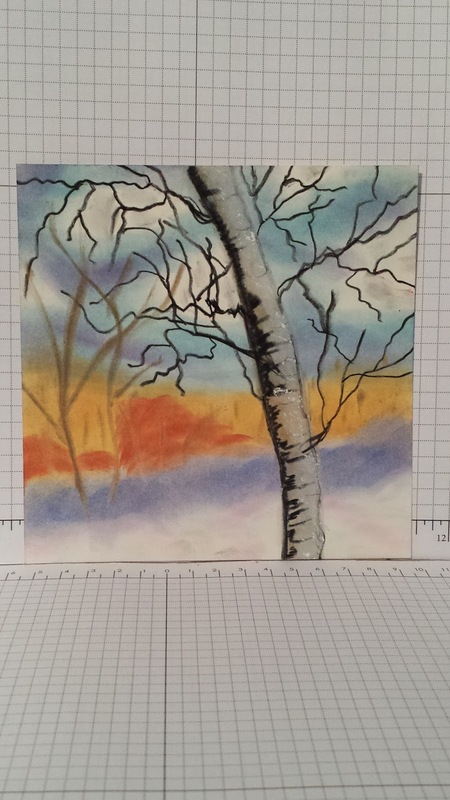 Below is my first foray in to Pan Pastel painting. I'm not real impressed with the branches of my tree but I think as a first attempt I did a bit of alright!